Florida is one of America’s most visited states. Known for its expansive beaches and multiple attraction parks, the Sunshine State really does have something for everyone. But, there are still some local spots that, although they may not receive droves of tourists, are still worth a trip — like Homestead. Come along as our guest contributor, Miranda Garcia, tells us what to see and do while exploring Homestead, Florida. Though the city itself boasts itself it as the ‘Gateway to the Florida Keys” Homestead, Florida, is a city in its own right. With a rich history that dates back to 1898, boomer travelers will enjoy city life, farm tours and visiting a winery. Yes, even Florida has wineries. Visitors to Homestead can explore the city by taking the self-guided historical tours by foot or by trolley. And, after a walking tour of historic landmarks, there’s no better way to fuel up than by visiting the many farm fresh fruit stands in the area. Where is Homestead, Florida located? The city is situated about 15 minutes from Key Largo. It’s a great idea to squeeze in some extra time here, especially if you’re already planning a road trip to the Florida Keys. I recommend at least one full day, possibly two; in order to be able to explore all that Homestead has to offer. Make sure to stop at the Homestead Town Hall museum. The history of Homestead dates back to the late 1800s when the railroad extended its tracks there to help farmers transports their crops. The atmosphere of the town is a quaint, small town feel, not found in the busy metropolis of Miami. In 2013 ,Homestead celebrated 100 years as an official city. The Historic Downtown area was recently added to the National Register of Historic Places. There is a self-guided tour or a guided trolley tour to see the best of the city. Both are free of charge. The self-guided tour includes a printable brochure with pictures and historical facts. Take time to visit the historic Hotel Redland, which is still in operation—or maybe even stay there. The Homestead National Parks trolley tour offers a guided ride from historic downtown Homestead to Everglades National Park and Biscayne National Park. The pioneer program provides free transportation plus free admission to both national parks. But you’ll need to visit between late November and late April to enjoy the ride. The downtown area is also home to the Historic Town Hall museum. Admission is free and it is located in the original building that once housed the police department, fire house and city hall. The main attraction is the City of Homestead’s original 1924 American LaFrance fire truck. My personal favorite is the plethora of black and white photographs that show families and places from earlier times. Inspired to explore more of this interesting area? Start your search for hotels in Homestead, Florida with us. Why yes – Robert is here! Homestead got its start as a farm town, and that hasn’t changed. 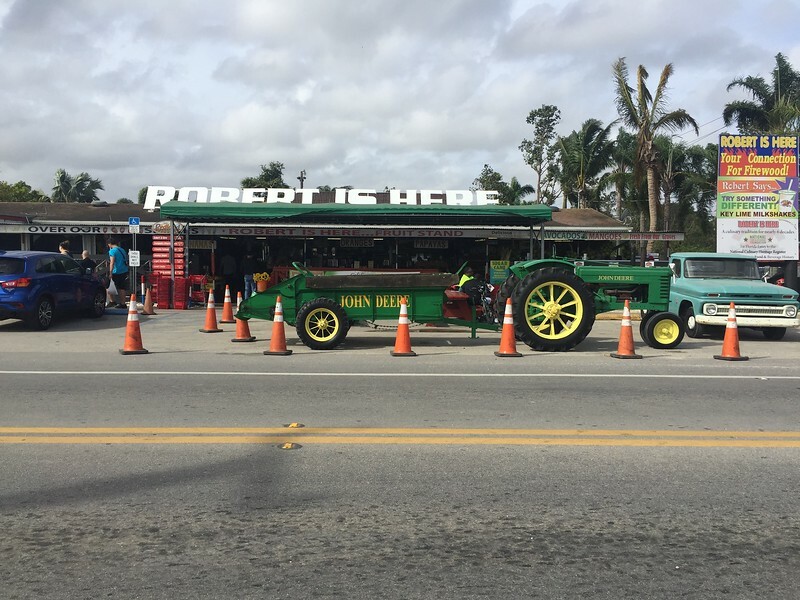 Robert is Here is a fruit stand that was opened in 1959 and is still family owned and operated. What started as a road side fruit stand has now transformed into a full-fledged farmer’s market, boasting farm fresh fruits and vegetables, small batch sauces and snacks, milkshakes and smoothies, other crafts and confections for sale, and even a petting zoo. The famous Homestead attraction has recently been entered in the National Culinary Heritage Register, which celebrates businesses with over 50 years of culinary tradition. I recommend ordering a smoothie or a milkshake (the daily special is my go-to). They are made fresh to order, and sometimes there will be a long lines, especially on weekends, but I promise you it is worth the wait. 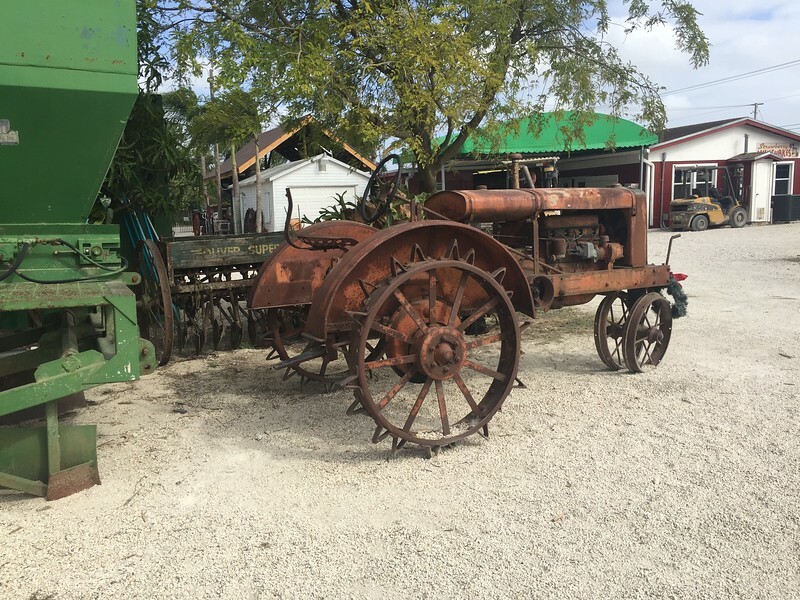 Enjoy strolling though the antique farm equipment. With delicious drink in hand, stroll around the petting zoo. Also spend time inspection the antique farm equipment that’s on display at Robert Is Here. Enjoy a wine tasting with a cheese and charcuterie plate. Homestead is also home to one of the most unique wineries, Schenbly’s Redland Winery. When you first walk into the tasting room, the circular bar that resembles a tree is the first thing that you see. The back wall is glass from floor to ceiling and affords breathtaking view of the estate. The grounds are covered in lush greenery and there is a Native American style Chikee Hut, a waterfall and koi pond. But, the best thing about the winery is, of course, the wine! Made from farm fresh locally grown fruits such as starfruit, guava, avocado, and coconut to name a few, this wine definitely qualifies as definitely unique. Each wine has an original flavor, and some are even award winning. Guided tours are available on weekends for $8 per person, and wine tastings start at $12.95 and includes a taste of your choice of 5 distinct wines. The glass is yours to keep. 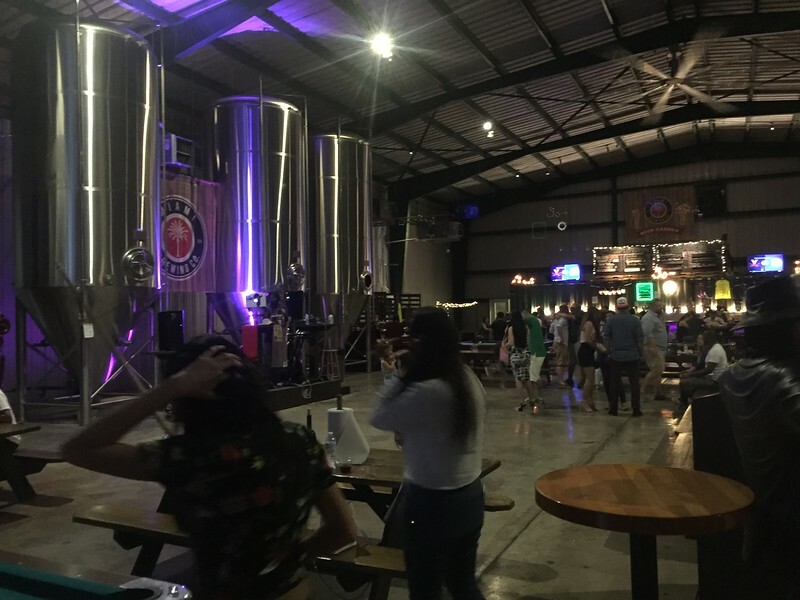 Enjoy a cold brew at the Miami Brewing Co.
On the weekends the winery offers live music and dancing, for an additional cover charge. Enjoy a meal at the small farm to table restaurant located in the tasting room, or bring your own food. Wines are available for purchase by the glass or bottle, or online with shipping available. Sitting on the patio with a glass of wine, watching the waterfall and listening to live music is truly relaxation at its finest. Would you rather drink a cold brew instead? The Miami Brewing Company is housed on the other side of the winery building. 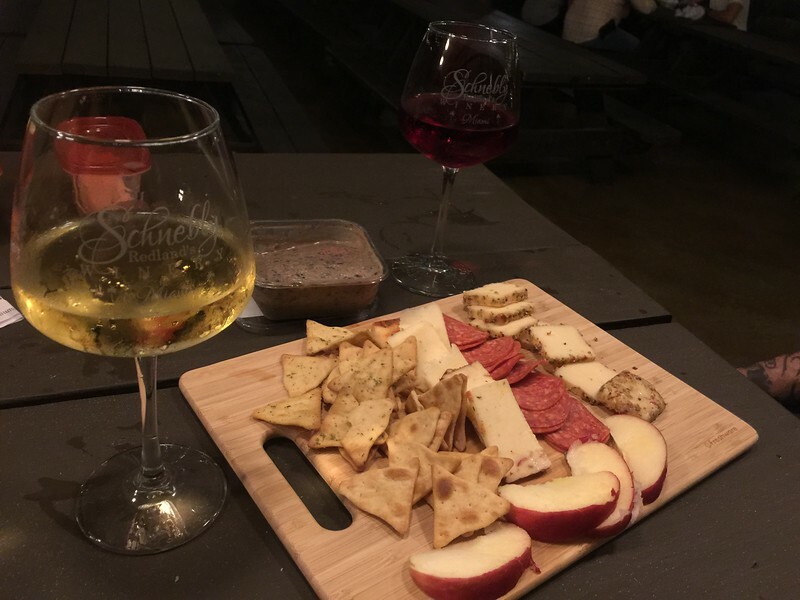 You’ll experience a more rustic feel in contrast to the simple elegance at Schenbly’s Redland Winery. Play pool or other games in the large open air Tap Room. The brewery also hosts live music and events, but they seem to cater to a younger crowd. Looking for active travel ideas near Homestead? Take an eco-tour in Everglades National Park by kayak, boat and walking. 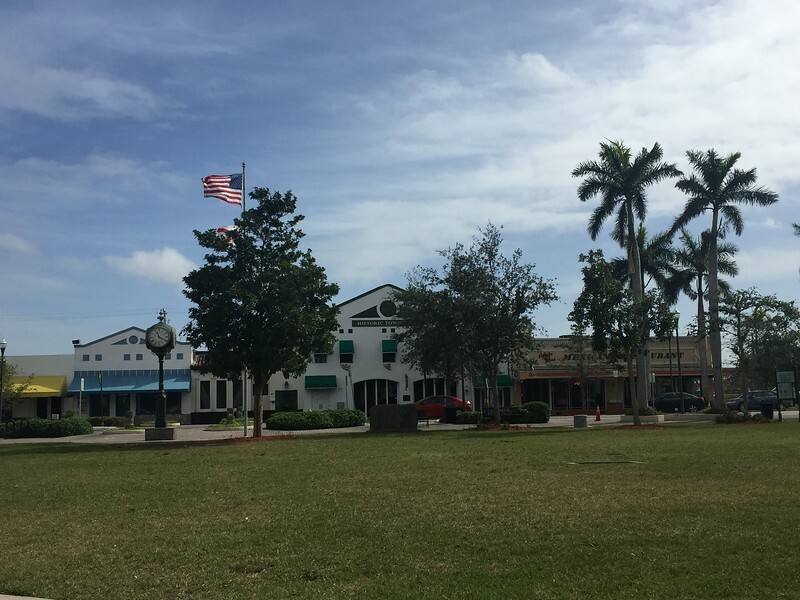 Have you been to Homestead, Florida? Come join the conversation at the My Itchy Travel Feet page on Facebook. Or send us an email with your thoughts. Miranda Garcia is a creator at Crave Craft and Love, and crafter of family friendly fun and travel!